In a few hours I’ll be boarding my first of three flights to Japan! It has been an emotional 48 hours and I’m sure its not over yet. Saying goodbye is hard and it never gets easier. Whether you’re the one leaving or you’re watching someone else leave. I’m running off a few hours of sleep and I’m hoping to stay awake through the rest of the night before heading off to the airport at 7. Everything is packed and ready to go. I’m keeping my fingers crossed that I stayed under the weight restrictions for my bags. They were both under when I weighed them, but every scale is different. I love Alan and all my family! I hope I can keep up with the blog while I’m there and that you enjoy reading about it back home. I’ll see everyone in four months! My mom mentioned to me over dinner tonight that I should blog about how I feel leading up to leaving. I wasn’t sure if I really felt up to it, seeing as I figured it would be a whole bunch of random paragraphs about how insanely nervous I am. But here goes anyway! I am deathly terrified of flying in airplanes. I hate heights too, so that adds to the sheer terror I feel sitting at 40,000 feet above the ground. Every time I have to get on an airplane I pretty much lose the ability to sleep and eat normally for about a week before. For some people, this seems pretty dramatic, and believe me it would be easier if I could somehow calm myself down. But it just doesn’t happen. I do have measures that I’m taking to make sure I will fall asleep on the plane. Namely, staying up all night Monday before I leave. My flight anxiety is making me more nervous that I would normally be. Other than that, I’ve gotten most of my packing done. I’ll probably go through some of it again just to make sure I have some space for the trip back. It hasn’t turned out to be as bad as I thought it would be. I’ve mostly finished up purchasing everything I need other than a few things here and there. 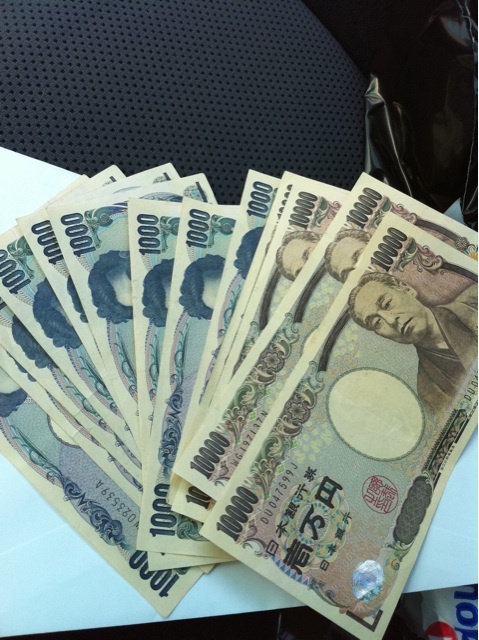 And I was able to pick my my yen from the bank. It’s funny that this seems like so much more money than what it really is. I’m leaving tomorrow morning for Cincinnati to watch the tennis masters going on there now. Alan and I come back on Sunday night and are going to a friends bbq party. I feel like from here on out the days are going to absolutely fly by. Yet I feel like I still have so much to do! So I’ve been meaning to update. And I’ve been trying to but it seems every time I do all I write about is the same thing. I have been getting increasingly more nervous every day though. A month turned into three weeks, and now it will be two weeks soon. I still feel like I have a ton of stuff to do before I can say I’m ready to leave. I ended up getting an early refund from financial aid, which was a huge relief. I haven’t exchanged any money and unfortunately haven’t even looking into doing so yet. That’s on a to do list for this week. I also got a credit card that I can use for emergencies and big purchases. The awesome things is that the card is interest free until April of next year. But I plan on paying off whatever I spend when I come home in January. 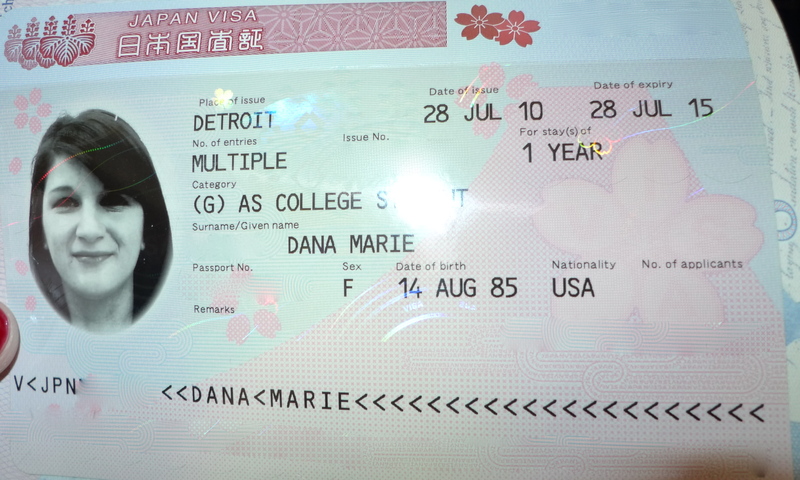 I also got my visa recently. I’m really glad there is a consulate close by. A few people on the Kansai Gaidai facebook page mentioned having to overnight their COE and passport to a consulate. Granted driving downtown and paying for the crazy expensive parking isn’t fun, but it was still a relatively easy process. I’ve been buying things that I figured I’d have a harder time locating once I get there too. Hopefully I can buy most things I need then. My biggest challenge is going to be packing. We are allowed two suitcases under fifty pounds. Sometimes I think I’ll pull it off, other times I know for sure I won’t. I just keep reminding myself that I’ll have more to bring back than what I’m taking and I need to leave some room. I’m a huge mix of excitement and nervousness. Add some slight sadness in that is waiting to come to surface as well. Either way I’m still counting down the days. In three weeks I will be in Osaka with Peter, Jess and hopefully some new friends before heading off to school. I can’t wait! 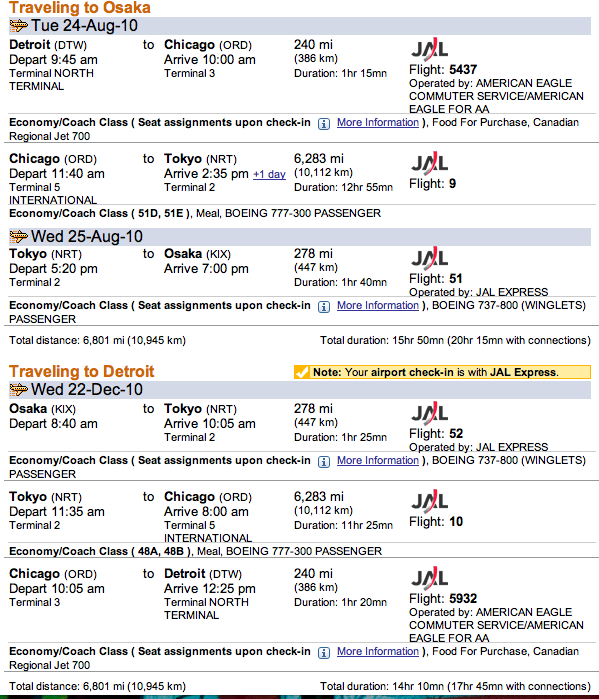 So seeing that in exactly a month I’ll be sitting on a plane to go to Japan, I figured I should update! It’s been a while since I last did, but I honestly didn’t have a whole lot going on other than work. Kansai has been sending out a lot of emails concerning different programs and classes though. And I also finally got my oh-so-elusive certificate of eligibility, which is the key to getting a visa. Peter and I went downtown this last Thursday to submit all of of documents for it. They said it would take about a week, and I’m glad to finally have that almost of out the way. We received our dorm assignments today as well! I picked Seminar House 3 as my first choice. But we were told that a lot of people request that dorm, and not to expect that we would be placed there. As it turns out I ended up getting it anyway. It’s an extra three hundred dollars to stay there since it an ‘apartment style’ dorm, but I don’t mind paying for it. I like the idea of having a common area with a small group of people rather than an entire floor of people. For now, everything is moving along and I’m trying not to think about saying goodbye to everyone when I leave. I’ve been focusing on the better aspects of all this and how excited I am. But I really will be sad and have a hard time saying goodbye to my life for four months. Alan and I also decided that him coming to visit may not work out as well as we thought it would. The only time he would be able to visit is in November, and I won’t know how busy I’ll be when he would get there. After this Friday I won’t be working so I’ll have time to relax, prepare, and spend time with everyone before I leave.